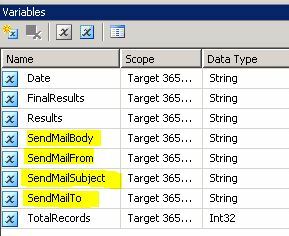 SendMail task only supports rending the email message in plain text. Adding CHAR(13) into the message in SQL only works if you are using Office365 email client (where the default body text formatting is in HTML). When this message is open in Outlook, it’s rendered in plain text. I need to display an email message that looks like below to list each vessel as a separate line. As you see from the syntax below, I have added CHAR(13). This CHAR(13) will be rendered in &#x0D ;, which needs to be replaced back with CHAR(13) to get the correct result. In order to have it rendered in HTML in the normal Outlook, the SendMail task no longer can be used. A Script task is used instead. To use the Script task, the above SQL needs to be modified to include the html tag of <br />. The message needs to contain this tag. Again, it is first rendered in &lt;br /&gt; which then replaced back with <br /> to get the correct result. 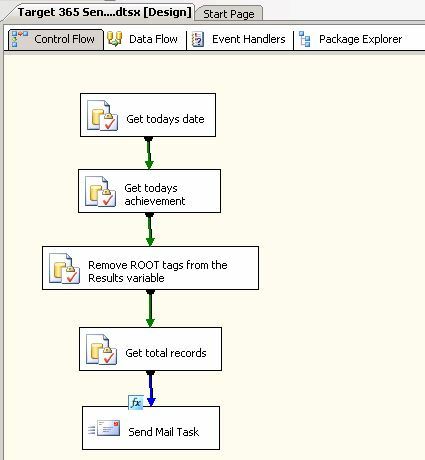 Next, create 4 variables in the SSIS package i.e. SendMailFrom, SendMailTo, SendMailSubject and SendMailMessage. Next, edit the Script task and assign the 4 variables as read-only. 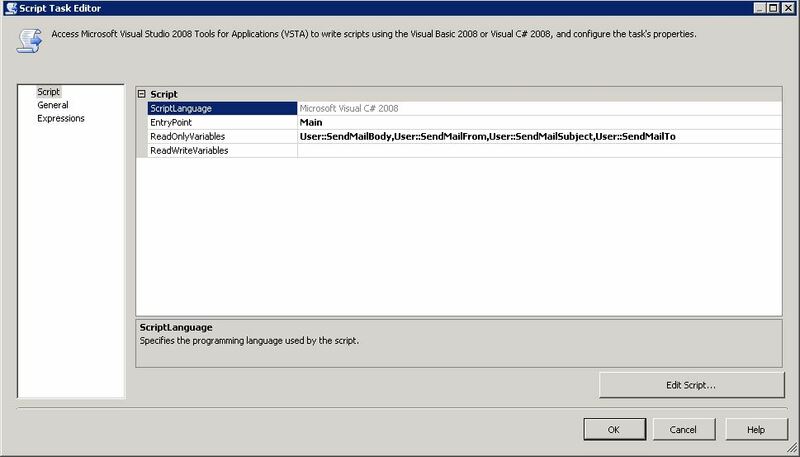 // Storing SSIS variables in .Net variables. // Get SMTP Server from SMTP Connection Manager. Build the code and then test it. 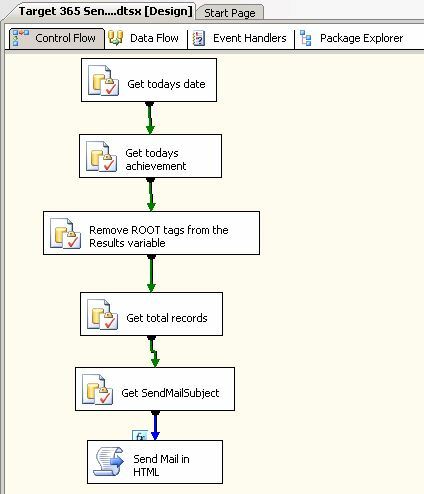 My SSIS packages using SendMail task and Script task are shown below.